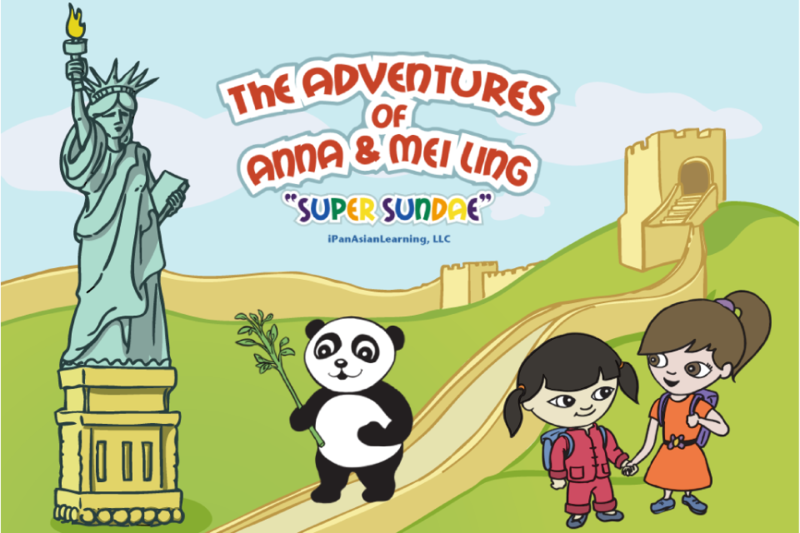 The creators of Anna and Mei Ling understand how difficult it can be keep a child’s attention while learning a new language. That’s why they created Anna and Mei Ling. These delightful characters will take your children on an adventure that involves engaging animation and music in both English and Chinese. Touch the surprise buttons hidden throughout the story to find an entertaining and educational surprise. The entire piece is narrated in English and Mandarin Chinese by native speakers. So whether your child is trying to learn English or Chinese, this app is just for them! At the end of the story, the kids can practice writing and saying commonly found words in both languages (using Simple Chinese with Pin Yin). The children can also see how it is written using proper stroke sequence. Each word also provides some captivating interactive entertainment so that learning becomes a little more fun and a little less repetitive.